The room was very clean. The staff friendly. Having everything on site was plus. The room was clean, the bed was comfortable and the shower was nice. Outdoor pools, casino atmosphere, Wolfgang Puck people were awesome. Room had mold on shower door and in the vent. Dirt on floors. I did complain to management. Staff was super friendly. Room was very clean, nice view. Great location big room clean and tidy large bathroom clean and tidy. Drive up and parking good, easy,, check in Rena was very understanding and work with us to start off on a good footing.. Lunch at taps was fun and the room was ready.. Great room.. Nemo in housekeeping,, came by twice, bell men got our bags quickly to the room.. We had a great time..,it was our 25th wedding aniver..,so MGM made it the best.. 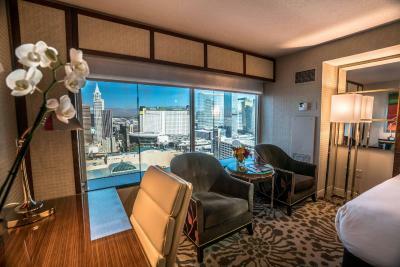 Thank you,, John and Tina Oh, great check out..,thank you for having a great front desk staff..
MGM Grand This rating is a reflection of how the property compares to the industry standard when it comes to price, facilities and services available. It's based on a self-evaluation by the property. Use this rating to help choose your stay! 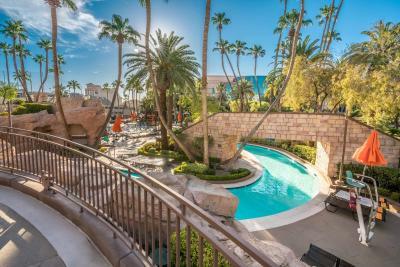 One of our top picks in Las Vegas.Located on the Las Vegas Strip, this elegant resort features the famous MGM Grand Garden Arena concert and sporting venue. A large casino with a gaming floor, tropical-inspired pools and a selection of dining options are also available. 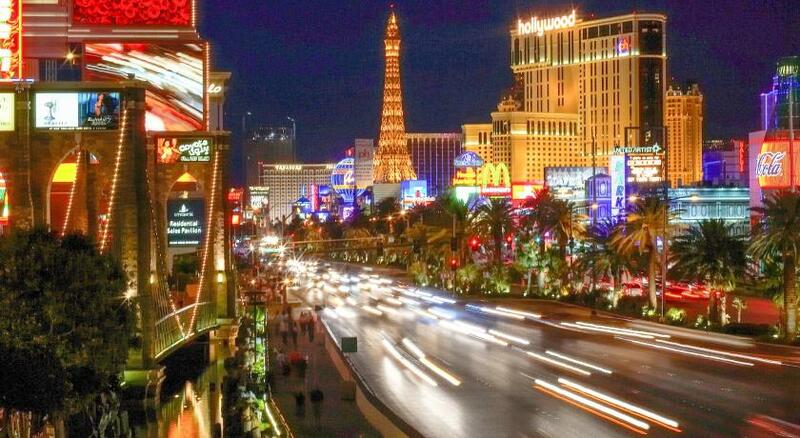 McCarran International Airport is a 10-minute drive away. Accommodation at the resort are decorated in both contemporary and classic styles. The air-conditioned accommodation includes a flat-screen cable TV with pay-per-view channels, a work desk and an en suite bathroom with free toiletries. Dining options at the MGM Grand Las Vegas include award-winning restaurants such as fine French cuisine at Joel Robuchon, classic steakhouse dishes at Tom Colicchio's Craftsteak and creative Japanese cuisine at Morimoto Las Vegas. A gastropub-style menu is available at Michael Mina Pub 1842 and classic buffet-style dining is offered at MGM Grand Buffet. 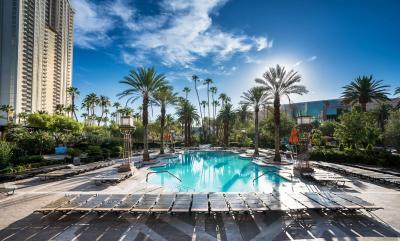 MGM Grand Las Vegas boasts a full-service spa, while the pool areas provide private cabanas and a lazy river. Entertainment at MGM Grand Las Vegas includes Cirque du Soleil performing KÀ and performances by the influential dance crew Jabbawockeez. The Grand Garden Arena hosts world-famous touring musical acts. 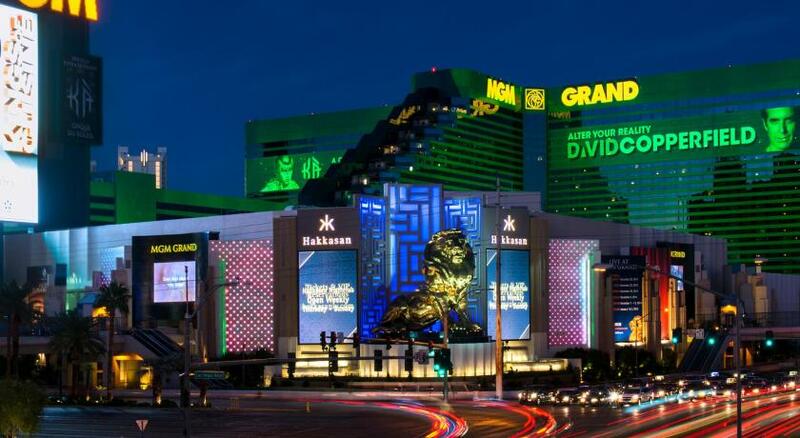 When would you like to stay at MGM Grand? Featuring a 40-inch HDTV and a spacious seating area, this modern room includes an private bathroom with marble accents. 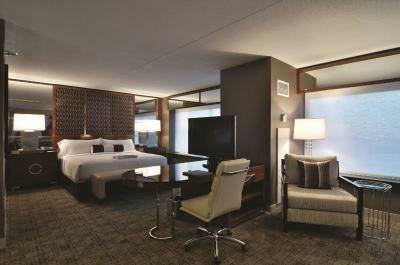 This room features contemporary design and a flat-screen 40-inch HD cable TV. 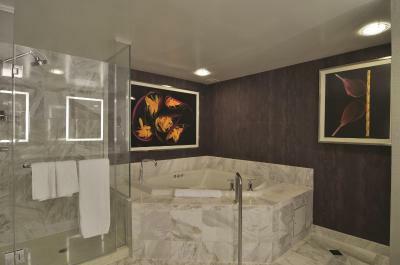 The private bathroom features marble accents. This room accommodates a maximum of 2 guests and does not allow extra beds. Located in the West Wing, this room offers sleek, modern design in a comfortable space. It includes a cable TV, a work desk and a seating area. Featuring a flat-screen 40-inch HD cable TV and a spacious seating area, this modern suite includes a private bathroom with marble accents. - Please note: You can request your preferred bedding configuration at the time of booking; however, please note that the bedding configuration is not guaranteed and will be assigned upon arrival and is subject to availability. This room features a mini-bar, a seating area and a flat-screen HDTV. Please note: This room type has private registration. This air-conditioned room has a seating area, a mini-bar and a flat-screen HDTV. Please note: Two buffets per stay are included. The promotion is valid for a maximum of 2 breakfast or lunch buffets per stay, per room. Restrictions apply. 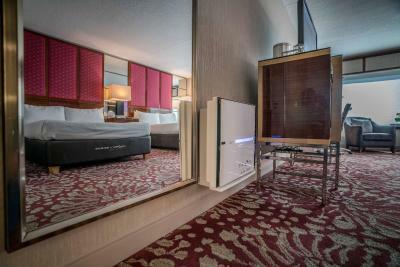 Offering a Strip view, this air-conditioned room has a seating area, a mini-bar and a flat-screen HDTV. Make MGM Grand Pool your day time escape. Lose yourself in our 6.5 acre, highly energetic atmosphere. Secure a reservation to lounge poolside in one of our 26 Cabanas or relaxing daybeds. 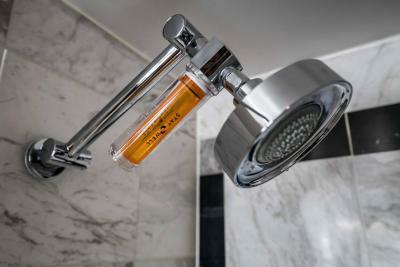 House Rules MGM Grand takes special requests – add in the next step! MGM Grand accepts these cards and reserves the right to temporarily hold an amount prior to arrival. -All rooms and suites are completely nonsmoking. Any evidence of smoking any substance will result in a minimum deep-cleaning fee of USD 500 for rooms and USD 1,000 for suites. - For your convenience, the MGM Grand offers self-parking in our Main Parking Garage, as well as Valet Parking for a fee. - The parking fee provides you with in-out privileges within the same parking type (self or valet) across all MGM Resorts destinations. 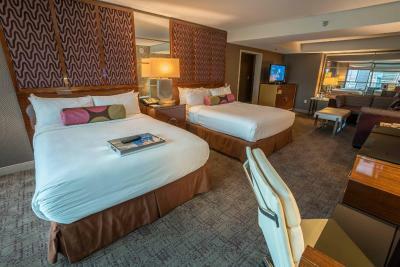 - Per MGM Grand policy, please ensure the original credit card used at the time of booking is presented during check-in. Initially at check-in, my wife and I were asked if we would be OK with 2 queen beds. However, the receptionist resolved this minor issue very quickly. My wife and I found the room to be very comfortable. The hotel's location is very central, and close to many bars and restaurants. 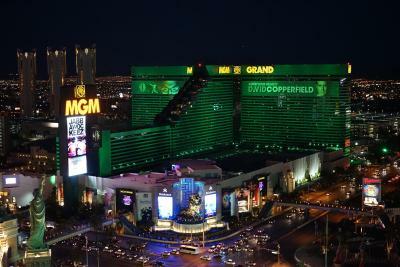 The MGM grand was conveniently located at the south end of the Strip, close to a number of other casinos including NYNY. 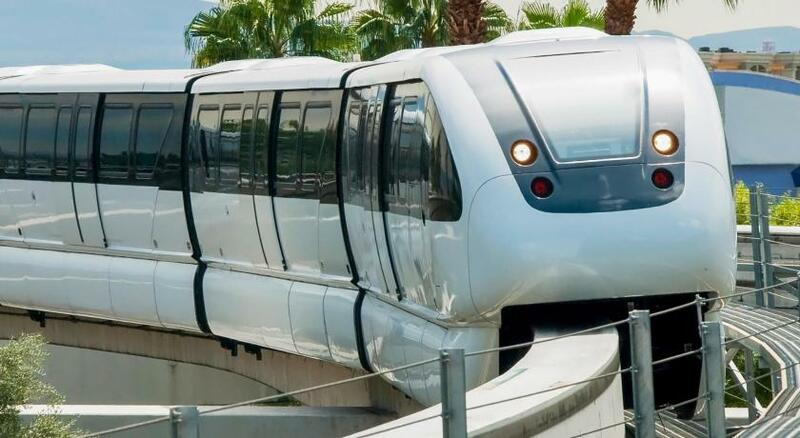 The MGM grand also has a monorail that takes you to the other end of the strip. The bathroom area was terrible. No counter space and no privacy. There should be a warning for this room that the bathroom is is in the room basically and the room is tiny .Toilet only separated by a Glas “door” (which is more like a decorative separator). Also we had to switch rooms after the first night because the first one was very Loud (air conditioning fan for the whole floor outside our window) and the tv did not work. However, no “sorry” from hotel staff about it. I wished that there was a microwave and refrigerator in my room. I made the mistake of assuming there would be. I didnt like the prices eg. one hamburger,small chips and a coke it cost $37 US The taxi driver i had the fare came to $20 US i gave him a $5 tip US,and he complained that it wasn't enough.So i gave him an extra $5US so the fare from $20 US became $30 US I work in Sydney and my pay is $18.50 per hour,and i am a labourer,no one gives me a tip when i unload 20 lambs,in their fridge,and i do an average of 9 deliveries a day.If each person gave me a tip i would only work for 3 days. Here is this cabbie,i give him an $20 tip australian for doing actually nothing,and he complained. Location was great close to all amenities,the staff were friendly,courteous,the hotel itself was very nice.